GuildWars 2 is a massively multi-player online role playing game that was launched in August 2012. The game is developed by ArenaNet and published by NCsoft. Set in Tyria, a fantasy land left corrupted and devastated by the rise of the elder dragons. The people of Tyria belong to 5 great races and are each faced with a simple choice; set aside ancient rivalries and unite to defeat the elder dragons or fight alone and die. Asura – Diminutive mystical scientists. Sylvari – Mysterious, noble plant beings. Human – A noble, resilient people. Norn – Towering heroes from the north. Guild Wars 2 offers a very dynamic experience. Every action has an impact; every story is personal. Tasks are multi-layered requiring you to work alone or in partnership combine problem solving and intense combat skills in equal measure. Players can play in a PvP environment or World Vs World. Guild Wars 2 US has been on the PlayerAuctions marketplace since August 20, 2012. 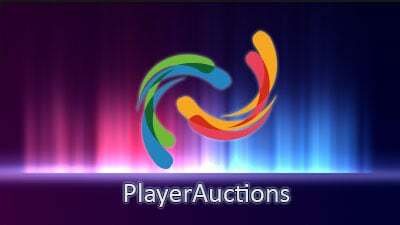 Guild Wars 2 EU has been on the PlayerAuctions marketplace since August 30, 2012.